Adele is building a practice in all areas of family law. She joined Chambers after successful completion of her pupillage under the supervision of Nicholas Fairbank, Greg Davies and Ruth Kirby. 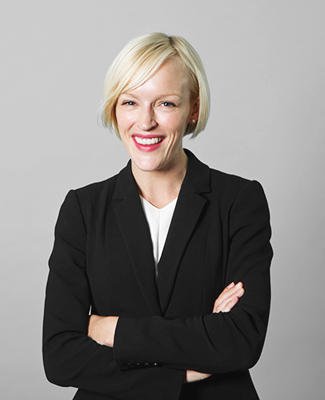 Adele has gained experience in financial remedies, and private and public children law work, appearing before various levels of court, including the High Court. She has helped train professionals in public children law cases with His Honour Judge Tolson QC at the Central Family Court and expert witnesses at the Royal College of Paediatrics and Child Health. Prior to commencing pupillage, Adele was a family paralegal and volunteered for family law advice schemes and charities, including the National Centre for Domestic Violence. Through her work she gained valuable experience assisting litigants in person and advising parties on matters relating to financial remedies, child arrangements, and applications for injunctive relief under the Family Law Act 1996. Alongside her undergraduate and postgraduate studies in family law, Adele conducted research into judicial decision-making, and the provision of alternative dispute resolution and resources for divorcing couples and post-separation parenting disputes.